After 25 weeks of AFL football we’ve finally arrived at that final Saturday in September. 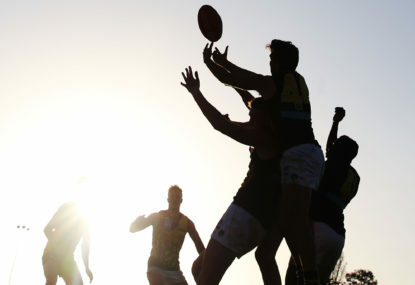 Hawthorn and Sydney will fight it out on the competitions biggest stage for the 2012 premiership. On one side we have the Hawks, a side that was labeled as flag favorites from Round 1. We all expected them to be here. Then we have Sydney, a side who over the course of the year have proven the pre-season doubters wrong and showed us that they belong. It’s no secret that the two sides play differing styles. Hawthorn primarily uncontested, Sydney predominantly contested. So who exactly will have the advantage on Saturday afternoon? I can’t think of a better way to answer that question than to analyse how exactly these two sides arrived at where they are today. If you’re interested to see how Hawthorn and Sydney have performed in wins and losses against Finals sides this year, which indicators have the largest bearing on a result and how that influences one another come Saturday afternoon, by all means stick around. What follows is the breakdown of the competitions two best sides across 19 different statistical categories. The data included in the findings is sourced from match ups against finals sides only. In the most basic terms; it’s comparing the elite against the elite. 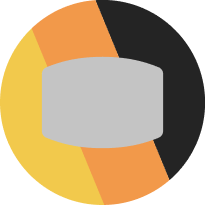 The goal is to identify any significant outliers between the data in order to pinpoint exactly what each side’s strengths and weakness are and what causes a result. Hawthorn has finished with nine wins against this year’s top eight, the highest of any club. The following table indicates their performance in WINS against finals sides this year. Hawthorn were most dominant in uncontested possession, marks, marks inside 50, uncontested marks, disposals, effective kicks, kicking efficiency, clearances and Inside 50’s. The Hawks essentially dominated everywhere. Those who know the Hawthorn game style wouldn’t be shocked by this at all given the dependency upon high disposal numbers. Hawthorn dominates possession and play through the safest (uncontested) avenue possible. The Hawks do so via elite disposal (specifically via foot) and have a supreme advantage when moving forward. The Hawks finished with four losses against sides in the Finals this year, the equal lowest (with Sydney) of any club. The following table indicates their performance in LOSSES against their fellow finals sides this year. Although Hawthorn maintained an advantage in total disposals their effectiveness when using the football was worse than their opponent across every category. The key indicators where Hawthorn’s performance dropped drastically in games they won compared to games they lost are listed in bold font. Opponents who had success against Hawthorn were able to locate key targets Inside 50 and were most focused on playing direct football via foot. 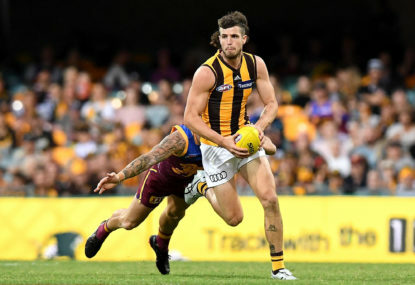 Hawthorn were -43 in uncontested possessions, -23 marks, -4 marks inside 50 (opponents were +3), -22 uncontested marks, -29 total disposals, -5% kicking efficiency, -26 effective kicks, -5 clearances and +5 in turnovers on average per game in games they lost compared to games they won. This indicates that the most effective way to nullify Hawthorn is to play high pressure contested football and not allow them to control the game on their own terms, similar to what Sydney did against the Hawks recently at the SCG, only it has to be sustained for four quarters. As you can see the majority of output drops for Hawthorn when they suffer a loss. This is further evidence that the focus needs to be on what the opposition can do to restrict Hawthorn as opposed to increasing their own output in specific areas. Now that we’re aware of what makes Hawthorn tick in wins and losses let’s see how Sydney performed in those important areas. The key statistical categories which were directly related to Hawthorn winning or losing a game of football are listed in the following table. I have listed Hawthorn’s overall ranking for each indicator and provided Sydney’s ranking in terms of being able to restrict an opponent in that specific area. This should give us an accurate idea of whether or not Hawthorn’s strengths and weaknesses play into the hands of Sydney. Summary: Sydney ranked inside the competitions top ten defensively for seven of the ten listed categories which heavily influence a Hawthorn victory. As you can see it’s no secret why the Hawks finished the season in first place and are heavy favorites leading into Saturday’s game. Hawthorn’s weaknesses are few and far between, and they should find marginal resistance when it comes to winning first use of the football, accumulating disposals and operating via foot. How effective Hawthorn are is the big talking point here as Sydney rank Inside the league’s top five teams for forcing turnovers, restricting effective kicks and limiting opponent disposal efficiency. These are all hallmark areas of the Hawks game style. The Swans finished the 2012 campaign with seven wins against top eight sides this year. The following table indicates their performance in WINS against their fellow finals sides this year. Unlike Hawthorn, Sydney prefer to play in a heavily contested environment and are dependent upon utilizing handball and playing at a fast pace to make up for any skill deficiencies they may encounter via foot, as evidenced by their last ranking in marks per game among the competition. According to the numbers Sydney are the opposite of Hawthorn when it comes to pinpointing a specific style of play. The Swans priority is to; Keep the game contested, limit opposition ball use, use possession effectively by playing as direct as possible and at a fast pace, and apply extreme pressure by tackling everything and anything. The Swans finished with four losses against sides in the Finals this year. As previously mentioned this was the lowest among all sides in the competition along with Hawthorn. The following table indicates their performance in LOSSES against their fellow finals sides this year. Sides who found success against Sydney would see their contested possession output increase dramatically, limit the Swans run and carry by forcing them into a stop-start style and increase their tackling numbers to decrease Sydney’s effectiveness when using the football. Although the drop in Sydney’s output in losses isn’t as damning as Hawthorn’s it does prove that matching the Swans at fifty-fifty contests and applying a wealth of pressure is far and away the best recipe for success. If you show up unprepared Sydney will make you pay. We saw this occur when Sydney and Hawthorn met in Round 22 this year. What’s interesting to note is that Sydney’s contested possession output is consistent regardless of result. This indicates that It’s more about what the opposition does in this area as opposed to the Swans themselves. Given Hawthorn rank inside the top three for all contested possession indicators, both offensive and defensive, it’s hard to see Sydney experiencing an advantage here. Summary: There have been numerous question marks over Hawthorn’s defense but the above rankings indicate otherwise. Minus tackles, defensively the Hawks ranked inside the competitions top three in every key indicator which points to a Swans victory. Hawthorn possesses the ability to eclipse or break even with the Swans in all of their strength areas. Sydney will have the primary advantage when applying pressure sourced from tackles but it would take a below average performance from Hawthorn for Sydney to experience an overwhelming advantage in any other areas. Hawthorn and Sydney have met twice in Season 2012 with the honors being split. In Round 5 this year Sydney upset Hawthorn with a comfortable 37 point win. Once you take a look at the output it becomes quite clear that the Hawks were simply uninterested in competing in this particular fixture. As a whole Hawthorn’s indicators were ok but it was the personnel who was leading the way which proved to be their downfall. In regards to contested possession the Hawks were led by Ryan Schoenmakers (11), Shaun Burgoyne (11), Luke Breust (10), Jarryd Roughead (9) and Shane Savage (9). There’s no Mitchell, Sewell, Lewis or Hodge to be found. This was the only occurrence all season where one of Hawthorn’s star midfielders were not among the team’s top five for contested possession. That’s a statistical outlier if ever one existed. In their second meeting Sydney came out in the first quarter and looked unstoppable. The Swans were playing possessed and registered twenty-five more tackles in the opening quarter alone. Sydney failed to maintain that standard of pressure all game and would be outscored 101-69 from the quarter time siren onwards. The Swans are capable of forcing Hawthorn onto the back foot; it’s just a matter of how long they can sustain it for. Grand Final or not, no team in the competition if capable of that level of output for four quarters. Who will win and why? The beauty of the AFL is that no result is ever clear-cut and as we saw with the Crows last week, teams are capable of flipping the script. Against Hawthorn in Round 3 earlier in the year Adelaide were +21 in contested possession and +7 in clearances. The Crows played their bread and butter heavily contested style and helped themselves to a 56 point defeat. For Sydney to raise the Cup this Saturday afternoon they will need to find a way to restrict Hawthorn’s usual wealth of possession. With Hawthorn ranking inside the competitions top three for all clearance indicators on both sides of the ball and likewise inside the top three for all contested possession indicators, the Hawks are far and away the more versatile of the two sides. As far as forward lines go Sydney lack the key position target that often troubles the Hawks backline. Although the Swans did manage to experience their highest number of marks Inside 50 this season against Hawthorn no defender was every primarily accountable for a sole opponent. Josh Gibson was able to roam free and play his third man up role with great effectiveness, and accounted for fifteen spoils. Sydney do have nine players with over twenty goals or more so the spread of scoring punch is evident, although their third most prolific goal kicker and Inside 50 marking target Ben McGlynn will be absent. McGlynn has accounted for more than 11% of the Swans total score this season. Rather than dive into Hawthorn’s forward line efficiency I will sum it up with one sentence; Reid and Goodes lead the way at Sydney for marks Inside 50 with 73 combined. Hawthorn’s Franklin and Roughead have produced 105. The day will be a lot tougher for Richards and Grundy than it will Gibson and Schoenmakers. The Swans may have overcome their bad records against Adelaide and Collingwood in this finals series but the vast majority points to a Hawthorn victory and for Sydney’s recent 1-1-13 win/loss record at the MCG to continue. In the four previous finals between the clubs the home team has won all four games. Since the year 2000 at the MCG Sydney are two wins and six losses whilst Hawthorn is twelve wins and three losses in this season alone. There is plenty of talk regarding the weather heavily favoring Sydney. This is largely a myth and should have zero impact on Hawthorn given their elite disposal use, high contested output and supreme stoppage ability. For some reason the majority believe that wet conditions play into the hands of Sydney despite statistical evidence suggesting otherwise. Make of that what you will. Sydney is definitely capable of keeping this contest close and a Swans win wouldn’t shock me in the slightest. That being said rain, hail or shine I expect Hawthorn to raise the Premiership Cup this Saturday afternoon, but not without a great fight. Tip: Hawthorn by 15 points. 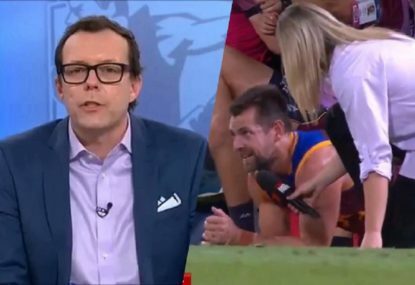 The Brisbane Lions veteran went toe-to-toe with the AFL Reporter on Triple M Radio. 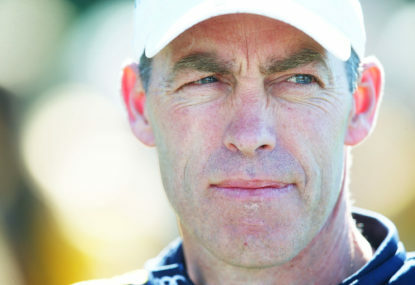 The Alastair Clarkson Hawks are the Patriots and the Spurs – brilliant and boring, wonderful and plain. Hawthorn surprised most by finishing fourth on the ladder at the end of the home and away rounds last year, but were not a particularly strong side. Hawthorn have named triple AFL premiership defender Ben Stratton as their new captain with Jack Gunston to serve as his deputy. 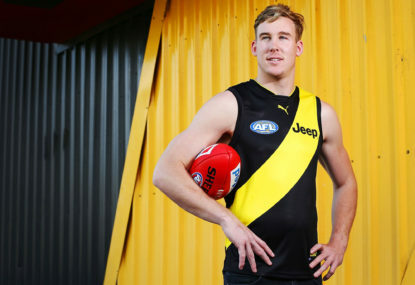 Yesterday Jay Croucher took us through the first instalment of this year’s AFL top 50, and today I’m counting down the players ranked 40-31. Let’s get started. I wonder if former Hawk Ron Nalder, who turns 80 in September this year, took any interest in the team selections at Hawthorn leading up to the finals last year.